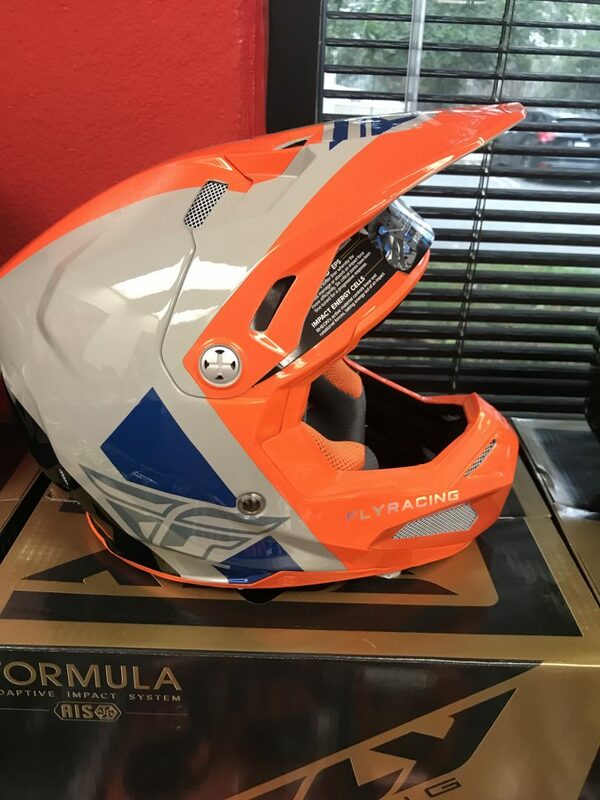 I had the chance to head to Carlsbad last Thursday to check out the new Fly Formula helmet to get a tutorial by Dr. Dan Plant and the Fly Racing staff on the technology that is behind Fly’s new premium helmet lineup. 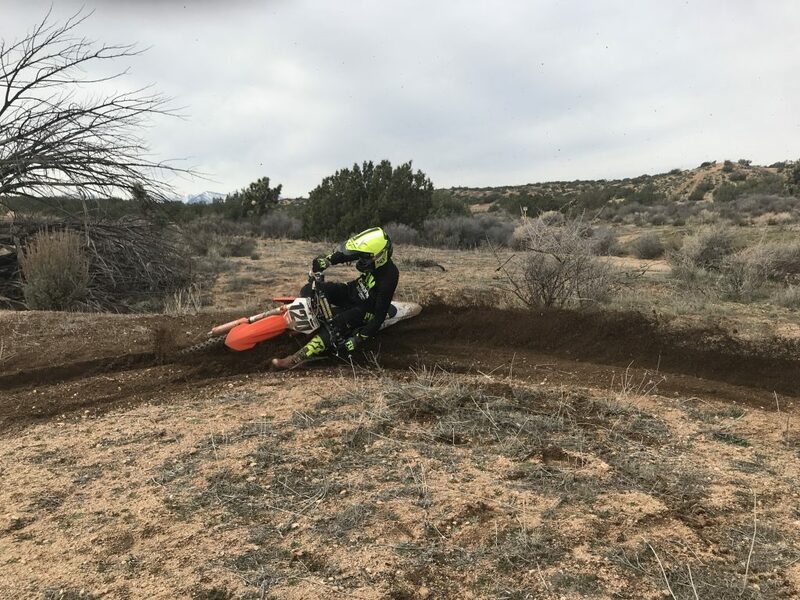 I have had the chance to spend a couple days riding in the helmet (since Thursday) to give you an initial first impression on how it feels while riding. Here are “Ten Things” you must know about the Fly Formula helmet with AIS (Adaptive impact System). 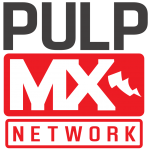 Stay tuned for a full long term review very soon over here on Pulpmx.com. 1.Adaptive Impact System: The Adaptive Impact System (AIS) is a high-performance ecosystem of structural design and energy mitigating materials. Each layer of the AIS from RHEON enhanced Energy Cells, to the dual-density EPS liner, and the 12k carbon fiber shell, was carefully fine-tuned to achieve the goal of creating FLY’s highest performing helmet possible. 2-Energy Cells By Rheon: Impact Energy Cells were engineered by the FLY Racing design team specifically for the Formula. The seven strategically-placed cells in the EPS liner are designed to feel natural inside the helmet, resulting in a seamless fit for the rider. Their unique shape and maze-like structure allow the Impact Energy Cells to compress and shear. Each cell can either compress during a linear impact or shear during a rotational impact. This slight movement maximizes absorption of low speed linear and rotational impacts reducing overall brain stress. These energy cells are made of RHEON, an “active” strain-rate sensitive material that efficiently absorbs and dissipates energy as it deforms. Invented by Dr. Dan Plant, a mechanical and industrial design engineering expert based at the Imperial College of London, RHEON’s adaptive chemistry reacts instinctively to control energy and change its behavior depending on the severity or direction of an impact. Essentially, the RHEON Impact Energy Cells maximize absorption of low speed linear and rotational impacts. 3- Conehead Technology: Like a crumple zone, Conehead technology absorbs and dissipates impact forces more effectively than traditional EPS helmet liners. Created by physicist Don Morgan, Conehead technology uses cone shapes to pair a firm density EPS with a much lower density EPS. The result is more progressive energy absorption through a broader range of impact scenarios. 4-Expanded EPS Studies have shown that the majority of impacts occur on the forehead or side of the head. To help combat these impacts, the Formula development team incorporated lower density expanded volume EPS (thicker EPS) in these critical zones. This expanded volume EPS provides improved suspension for impacts. 5-12K Carbon Fiber Shell And Control Release System Visor: The Formula’s first line of defense is an extremely strong and lightweight 12K carbon fiber shell. 12K carbon fiber refers to 12,000 carbon filaments per band. Carbon fiber is strongest when it is flat. Wider carbon fiber bands woven together produce a flatter result with less dips and rises inherent in a woven material. The reduction of these dips and rises creates less areas for resin to pool. Less resin equals less weight. The result is an extremely lightweight shell with superior penetration resistance to common 3K carbon fiber. Mounted on the front of the helmet is a durable yet flexible fracture resistant nylon visor. FLY’s own proprietary Control Release System secures the visor to the helmet but will allow it to release under certain types of impacts. 6.True Functional Ventilation (TFV): When in motion cool air is forced through multiple air intake vents. It then passes through vent channels in the EPS to collect the heat inside the helmet. Finally, the heat is literally sucked out through multiple exhaust vents. This suction is the result of a venturi effect created by the unique geometry of the helmet. The increased draw of air out of the rear of the helmet significantly boosts overall air movement and cooling. Fitment/Comfort First Impression: After riding with the new Formula for a couple days I have come to feel that the fitment is a little snugger (near cheek area) than the F2, but the inside liner is much plusher inside. The pockets that surround the ears have a more dampened sound and the helmet isn’t quite as loud as the F2. This is something you may or may not notice right away, as I didn’t really notice it until I wore the F2 and Formula back to back. There are absolutely no hot spots on your head while wearing the Formula helmet through a long day of riding and I never felt like I needed to take it off. The Rheon energy cells sit on your head in a way that allows the helmet to almost wrap around the shape of your head better and not just get that “sit on top of it feel”. 8: Ventilation First Impression: The ventilation of the Formula helmet is on par with the Alpinestars Supertech M10 as the ports are the most wide/open I have ever seen from an intake/exhaust port standpoint. When you look through the Formula helmet you can see daylight going through the helmet itself. Wearing it during my motos you can actually feel the airflow going through your head and keeping the Ari circulated. I didn’t really notice this until my second moto when my head was damp with sweat, but as soon as this happened, I could feel the cooling sensation starting to work even better. 9: Visor First Impression: I will have two say I am not a fan of the Formula helmet’s visor length and placement. The F2 also had this problem of where the visor sets itself too high on the shell and the Formula has that same look. When pushing the visor down it leaves a gap and just doesn’t look right. The short/high nature of the visor also makes it harder to see when the sun starts dipping down (I would know because I have been burning fuel until dark lately). FLY’s control release system on the visor is very cool and will not just come flying off if you take a spill because it actually has some tension on it. You will have to take the screw off and snap the recessed portion of the visor back in place, if it ever does come out. 10: Weight Feeling First Impression: Coming in at 1290 grams the Formula feels light on your head when riding. I have grown to appreciate a lighter feeling helmet when riding as you don’t really know how tired your neck muscles can get until you ride with a heavier helmet. I also like that it doesn’t feel too light where i am wondering if this thing is even going to protect me when I fall. It’s light enough for me to appreciate the lack of weight, but I’m not scared of wearing a paper weight while pushing the limits on my bike. Has anyone discussed the Fly helmet that Weston was wearing during his injury? I know he wasn’t using this model as it wasn’t released yet but were there any improvements or changes made to the chin guard and the rest of this helmet based on the damage sustained to him during his crash? 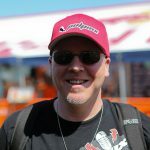 I haven’t heard JT or anyone else talk about it much at all and I know most of the podcasts I listen to are sponsored by FLY Racing so i’m sure they don’t really want to highlight it, but It would be really good to understand how the helmet reacted in that crash and if the new one would be any better. It’s my understanding that the helmet had little to do with his injury either way. Poor guy got hit/run over/landed on right in the helmets opening, so no matter what model he was wearing wouldn’t have made a difference, but then again I wasn’t there, didn’t see it, and am not an expert on much of anything so what the hell do I know…? Yeah I couldn’t find too much info on his crash that’s why it’d be nice for Fly racing to speak on it a little being that he is a fly Athlete and he suffered some pretty significant injuries while wearing their protective equipment. Good job addressing the question on the show guys. I really didn’t know that he was actually wearing that helmet during the injury. Good to know how the helmet performed in many areas and glad that Weston didn’t get hurt worse. 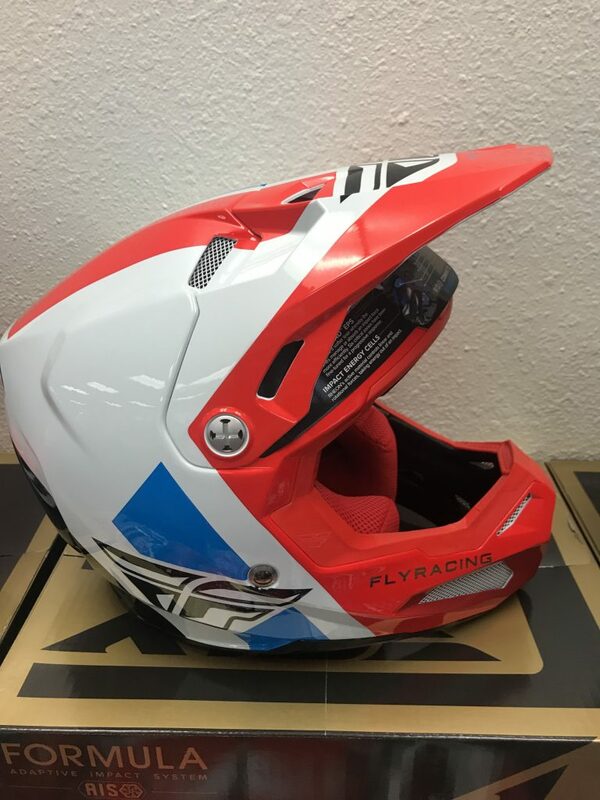 Price point is pretty high for sure and I’m always worried about having a crash soon after buying a new helmet and having to replace it right away so….any idea on what FLY’s policy is on this? I know other brands will take the helmet and evaluate it (radiograph it etc..) for free or a small fee and deem it re-usable or not. 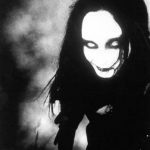 Great show I’ve been listening a while and look forward to the content weekly.